A new walking trail at Herb Pennock Park will be celebrated with a ribbon-cutting on Monday, Oct. 28. Community members and local businesses are invited to a ribbon-cutting ceremony on Monday, Oct. 28, at Herb Pennock Park at 5 p.m. The Kennett Area Park and Recreation Board (KAPRB) is pleased to announce the opening of a new walking trail at the park, located at 275 W. South St., Kennett Square. The new eight-foot-wide trail will serve as a connector to the network of trails currently being constructed in the Kennett area by Kennett Trails Alliance. The network of trails, referred to as the Red Clay Greenway, will be installed throughout the Kennett community and will allow community members to run, walk, or bike to and from the townships and the borough. 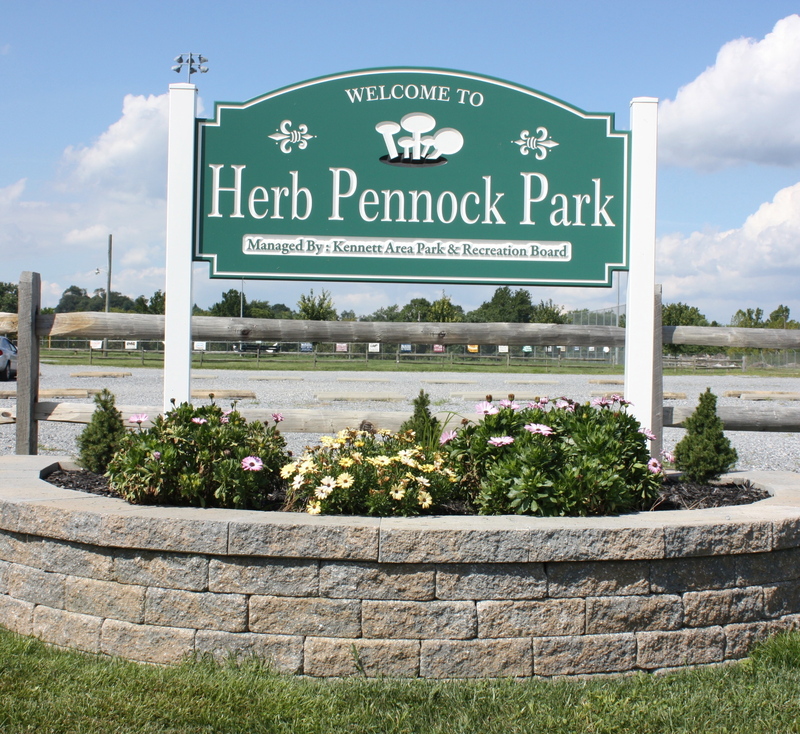 In 2007, the Borough of Kennett Square named KAPRB as the organization to manage Herb Pennock Park. 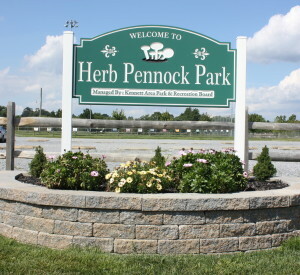 Since then, the park has undergone many renovations, which include new energy-saving Musco lighting for the lower, upper and auxiliary fields; new infield and outfield fencing for the lower and upper fields; new dugouts for the upper and lower fields; internal and external renovations and improvements to the snack shed; new front entrance sign and landscaping; new commercial playground system; improvements to the lower and upper field bleachers; new storage shed; and the installation of a new irrigation system for the lower and upper infields. KAPRB said more projects and enhancements to the park are planned, courtesy of donations from local businesses and through grants from Kennett Township, Kennett Borough, the state, Kennett Run Charities, The Mushroom Festival, and E. Kneale Dockstader. KAPRB is dedicated to continuing to make improvements at Herb Pennock Park, and the board would like to thank all organizations that have helped with the renovation projects. The Kennett Trails Alliance (KTA) seeks to connect the Kennett community to its natural beauty while promoting health, safety, a respect for the environment and a sense of community. The KTA will accomplish this goal through the development of a network of trails in the Kennett area that are interconnected, safe, well-maintained and continuous. For more information about KTA, visit www.ksqtrails.com.